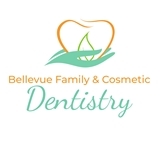 Bellevue Family & Cosmetic Dentistry (Bellevue) - Book Appointment Online! Thank you for visiting the web site of Dr. Preet Taneja, D.D.S. Our site provides important information that will help you become familiar with our practice. We appreciate this opportunity to introduce ourselves and we look forward to providing you with quality dental care. Our family dental practice is dedicated to providing personalized dentistry in a comfortable and relaxed atmosphere. We offer a wide range of services including diagnostic, preventive, restorative and cosmetic to patients of all ages. By emphasizing meticulous attention to detail, comfort and education, we are confident that you will have a successful, relaxing experience at our office. Our office is located at 14655 Bellevue-Redmond Road, Suite F103 Bellevue, Washington 98007. We are conveniently located in the Overlake area, close to Microsoft and Uwajimaya. I really liked how Dr. Preet treated me. She carefully worked on my teeth and she told me what she was doing, every step of the way.